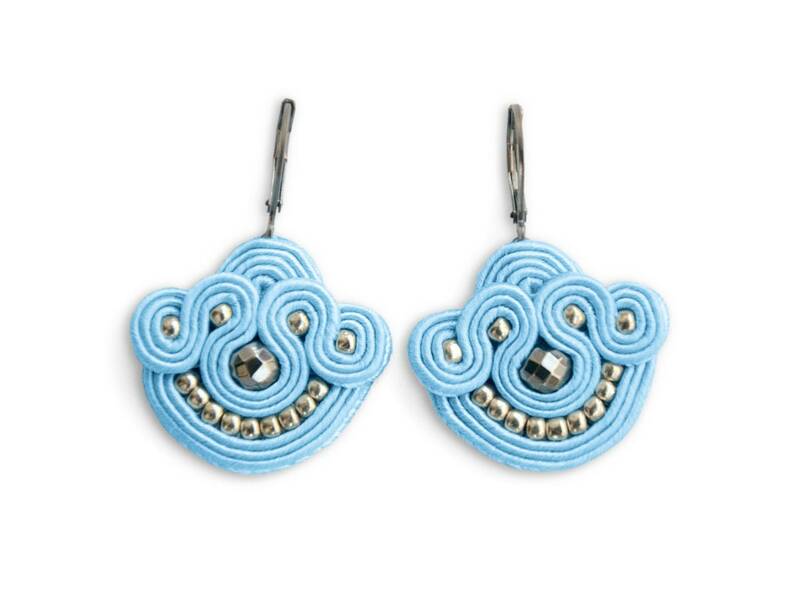 Joasou 'Californie' drop earrings are created by hand from soutache braid and embellished with glittering hematite and seed beads. Unique and eye-catching, these earrings are the perfect choice if you want to brighten your casual look. The 'Californie' earrings are ultra-lightweight, you'll forget you're wearing them. I ship worldwide from Poland through a mail with tracking.